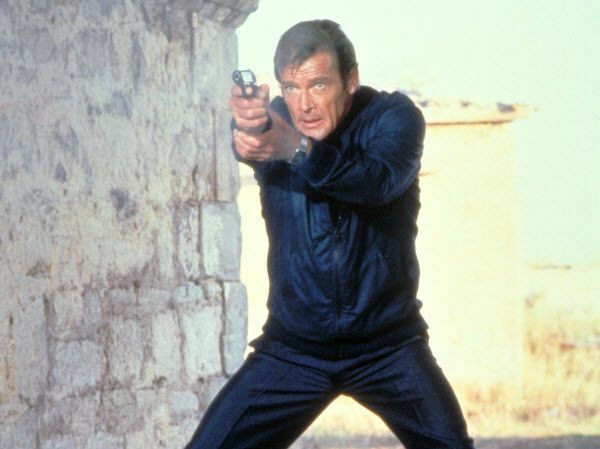 Roger Moore, who played 007 seven times, never had Sean Connery's gravitas — but with his sense of humor, he didn't need it. A remembrance from the author of "James Bond Unmasked." While Sean Connery defined Bond as uber-cool and free-spirited (he enjoyed killing as much as shagging), Moore redefined him as devil may care to disarm the baddies. The first Bond to hail from London, Moore’s Bond wasn’t in it for the spying, he was in it for the high life: the girls, the drinks, the food, the cigars, the clothes, and the sport. In other words, more Kiss Kiss than Bang Bang. Maybe so, but Moore had fun taking Bond to a whole new level of absurdity. He hated guns, found the whole spy game ridiculous, and knew he couldn’t get away with carrying off Bond anywhere close to Connery. Right from the start with “Live and Let Die” (boasting the first rock theme song, courtesy of Paul McCartney and Wings), Moore made his mark with this Blaxpoitation riff. He smoked cigars, orderd bourbon instead of a martini, played gin, and sported a powder-blue denim suit. And, oh, he loved his gadgets, beginning with the fully loaded Rolex watch. Moore said it was all about being casual both on and off screen (he adored producer Cubby Broccoli’s running backgammon games). No wonder he hit his stride with “The Spy Who Loved Me,” which cemented his lighter portrayal, underscored by Carly Simon’s sultry, “Nobody Does it Better.” From his Union Jack parachute opening, to his camel ride in Egypt, to his first encounter with the lovable giant, Jaws (Richard Kiel), Moore finally won the hearts of Bond fans and saved the franchise. Moore was even a good sport when asked by director John Glen to be more ruthless when executing a baddie in “For Your Eyes Only.” They argued about Bond angrily kicking the car and sending the henchman to his death. Moore said it wasn’t true to his Bond did as he was instructed. 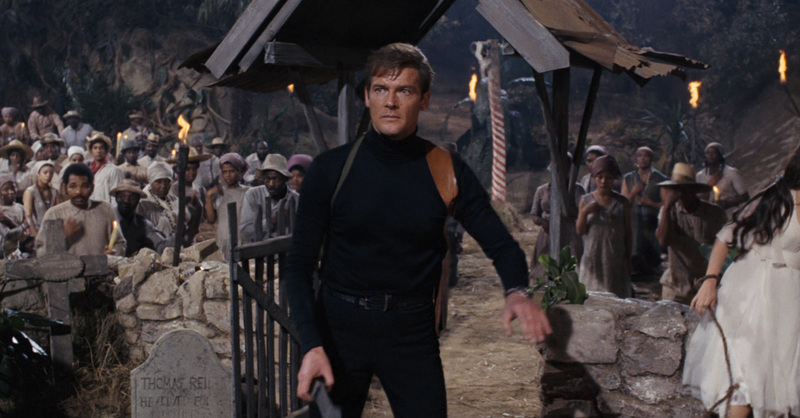 But the movie’s about revenge and it works as Moore’s lone departure and most underrated Bond. Long live Moore’s Bond, the charming joker and the franchise’s great ambassador.